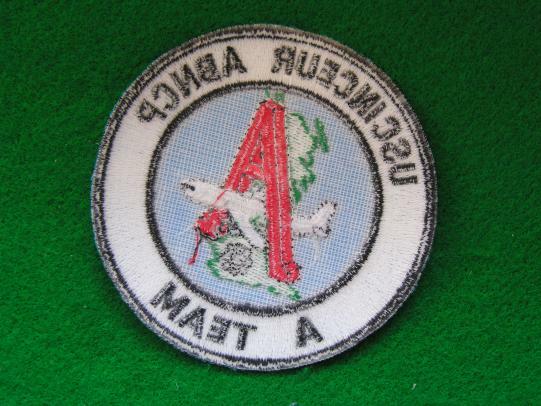 A 1990's USAF Patch for Fire Fighters Association based at RAF Alconbury England on base the 17th Reconnaissance Wing on 1 October 1982. 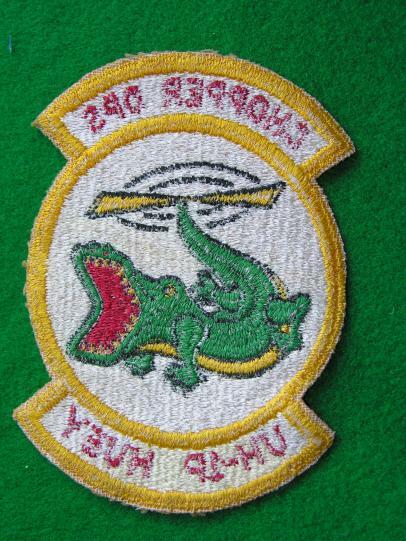 The operational squadron of the 17th RW was the 95th Reconnaissance Squadron. 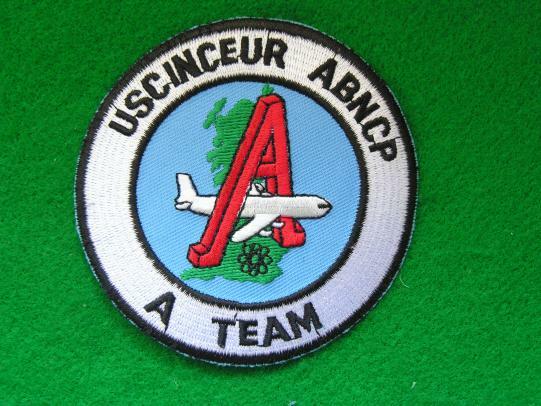 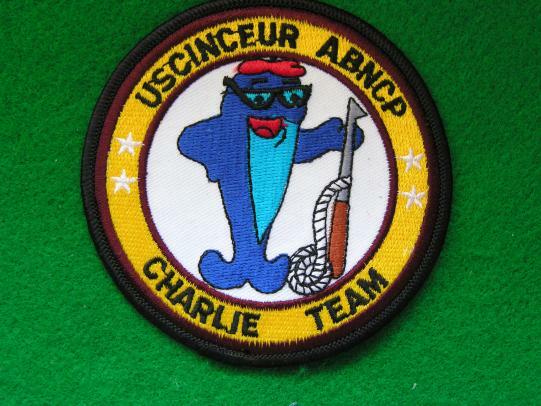 USAF Patch for 10 ACCS Airborne Command and Control Squadron USCINCEUR ABNCP Battle Staff E Team Silk Purse 1980s RAF Mildenhall Embroidered on twill cut edge 83mm three and one quarter inches diameter. US European Command USEUCOM was established on 1 August 1952 to provide the US with a national command within the 1949 formed NATO and to provide a unified command and authority over all US Air Force US Army and US Navy forces in Europe to control the build up of forces required for a common defense against the Soviet Union. 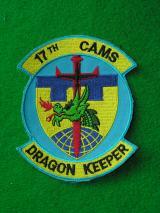 From 1950 to 1953 United States military personnel in Europe grew from 120000 to over 400000. 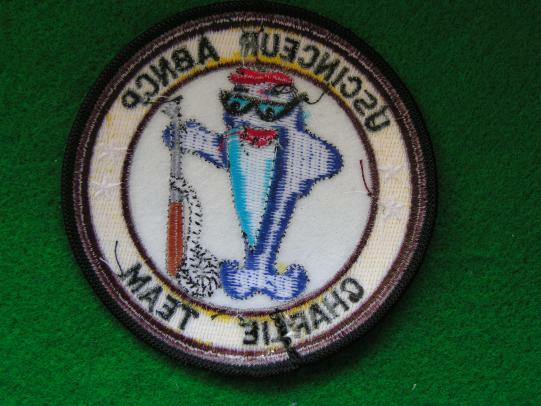 Here is a set of Missileman badges sold as a set. 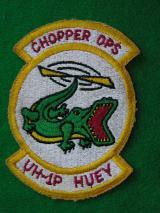 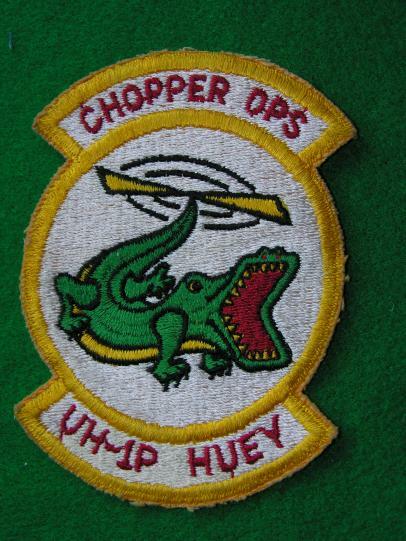 Command Measures 2 3/8" x 1/2"
A rare vintage 1960's UH-1P Huey Helicopter Patch of unknown origin, fully embroidered example in good condition. 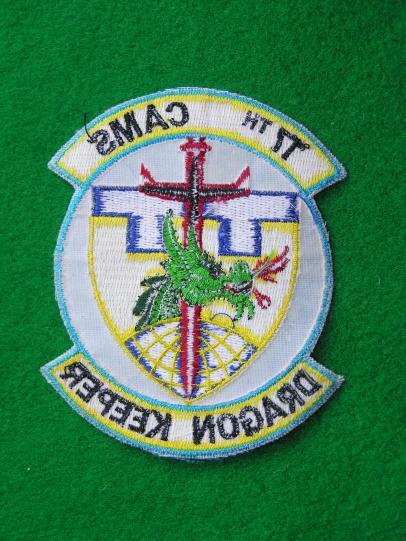 Measures 5 1/4" x 3 5/8"
17th Consolidated Aircraft Maintenance Squadron CAMS USAF Embroidered Patch. 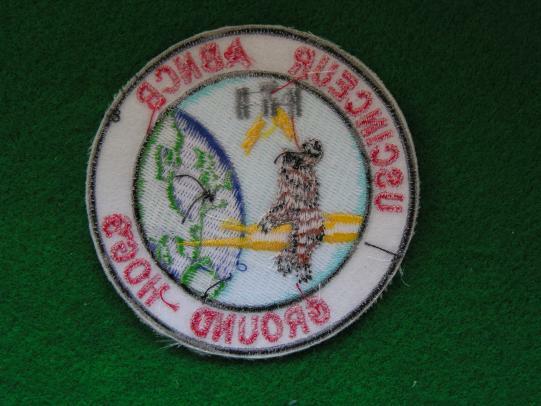 10th Tactical Fighter Wing, gaggle patch for the 10th TFW squadrons were 509th/511th in mint condition. 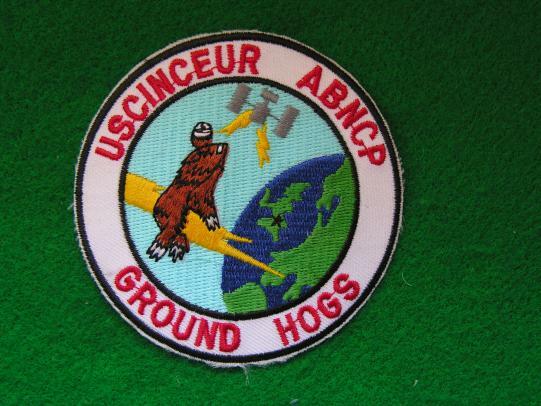 10th TFW flew A-10 Thunderbolt II Tactical Fighter Squadron at RAF Bentwaters and Alconbury England under USAFE Third Air Force. 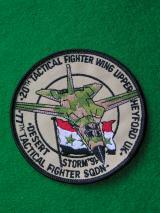 A 1990's 20th USAF Upper Heyford England TFW Desert Storm patch in mint condition. 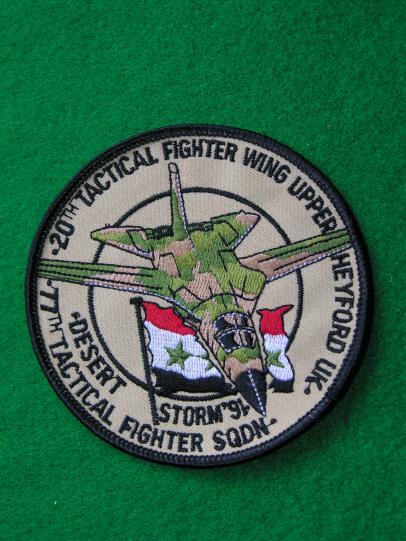 Flew F111's. 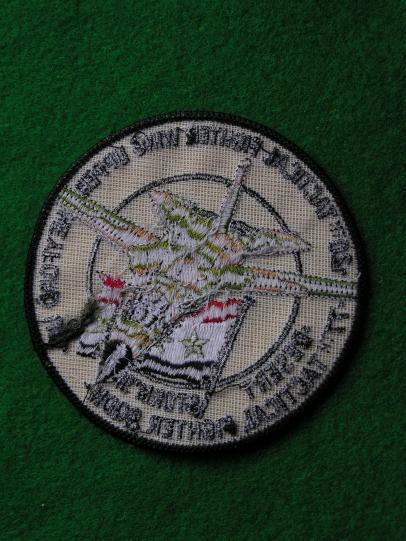 An F14 patch "Thief of Baghdad" Novelty patch in mint condition.